SSA/INTERCLEAN Amsterdam once again proved itself to be an essential event by offering a platform for the global cleaning industry, and creating a positive buzz in the cleaning community. 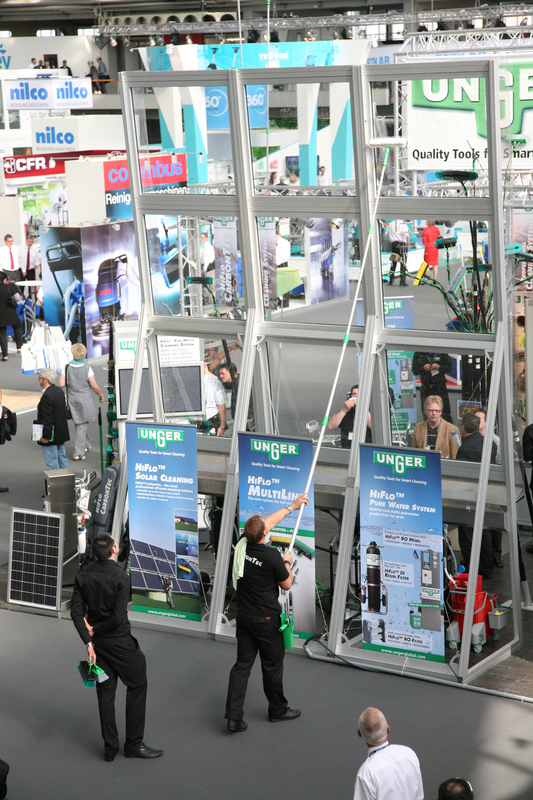 This 24th edition of the world’s leading trade fair for cleaning professionals showed an increase in attendees, an impressive display of newly developed products and some 25% first time exhibitors. VERMOP Salmon was named the Overall Winner of the ninth Amsterdam Innovation Award for its Mag system. The Amsterdam Innovation Award puts the most innovative products presented at the exhibition in the spotlight. The jury felt that the Mag system from VERMOP Salmon brings an entirely new way of attaching mop covers to the mop holder. Its ease of use, hygienic touch-free operation, flexibility, intuitiveness and ergonomy all impressed the panel. The winner in the ‘Machines, Accessories and Components’ category was Kärcher with its B 80 W, while Alpheios’s Infection Prefention Monitor was identified as the most innovative product in the ‘Cleaning Management and Training Solutions’ category. The first year’s ‘Visitor’s Choice’ Award went to Alpheios with its IPM. “We appreciated the motivation of the jury to award the prize to a product that will make everyday cleaning easier for thousands of cleaning staff through easier, intuitive handling. Winning the award brought many curious visitors to our stand and gave us a great platform to present the Mag system”, says Claudia Berthel, Head of Marketing VERMOP Salmon. ISSA/INTERCLEAN Amsterdam 2014 will be held from 6-9 May 2014 and celebrates its 25th anniversary. ← Facebook style community site for window cleaners……..